This is a nice cute puzzle with a “small” trick – I took this from the book “The Moscow Puzzles” by Boris A. Kordemsky (Puzzle #175). 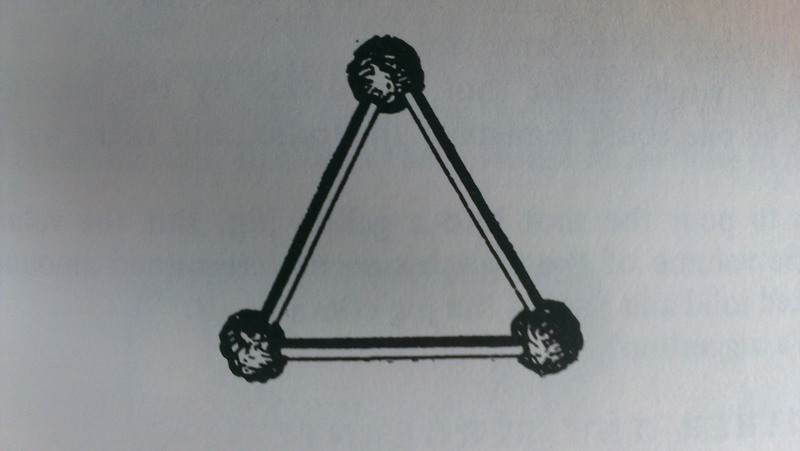 In the diagram, 3 matches are connected with balls of plastic to make an equilateral triangle. Can you form 7 such triangles with 9 matches? This entry was posted in Puzzles and tagged 3D Puzzles, Alok Goyal, Geometry puzzles. Bookmark the permalink. Yes, in 3d. Taking the existing triangle as the mid plane, with three matches more on each side you can create two pyramids that share the existing triangle as the base. Total of six external face triangles and one common base triangle.